Panettone, tall and dome shaped, this soft, not-too-sweet yeast cake with a fruity tang of raisins and candied oranges is the quintessential Italian Christmas dessert. Panettone making follows an extraordinarily elaborate and time-consuming process—taking over 40 hours. It’s kneaded and left to rise several times before baking, with flour, eggs, butter, sugar, and candied fruit added in stages. At last, once each cake has been allowed to rise in its own little panettone paper container, it’s baked, cooled, wrapped in plastic, packed up by hand, and sent on its way. There are even variations covered in chocolate and pistachios. Delicious served plain, accompanied by a glass of sparkling wine like Ca’ del Bosco’s Franciacorta . Or you can dress it up by serving it with mascarpone cheese whipped with your favorite Italian liqueur. 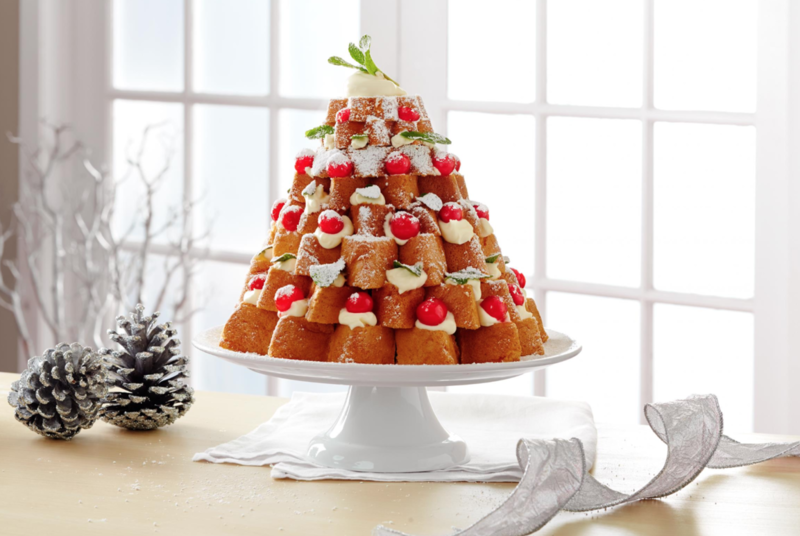 One easy variation, a sort of instand rum baba, is to soak panettone in spiked syrup, made by dissolving 3 cups of sugar in 1 1/2 cups boiling water until dissolved, then adding ¼ to ½ cup rum to taste. Panettone has spawned many legends. The most popular concerns a young Milanese nobleman, a member of the Atellini family, who fell in love with the daughter of a baker named Toni. To impress the girl's father, the young man disguised himself as a baker's assistant and invented a new, fruitcake-like bread. People came to the bakery in droves to purchase the magnificent new creation dubbed Pan de Toni --"Tony's bread." A variation of the legend has Toni saving the day by inventing the bread as a quick replacement for a dessert that had burned while being prepared for a Christmas feast held by the Duke of Milan, Ludovico Sforza. Pandoro, a tall star-shaped cake, has a delicious eggy brioche-like soft center, with a lovely vanilla-butter aroma. 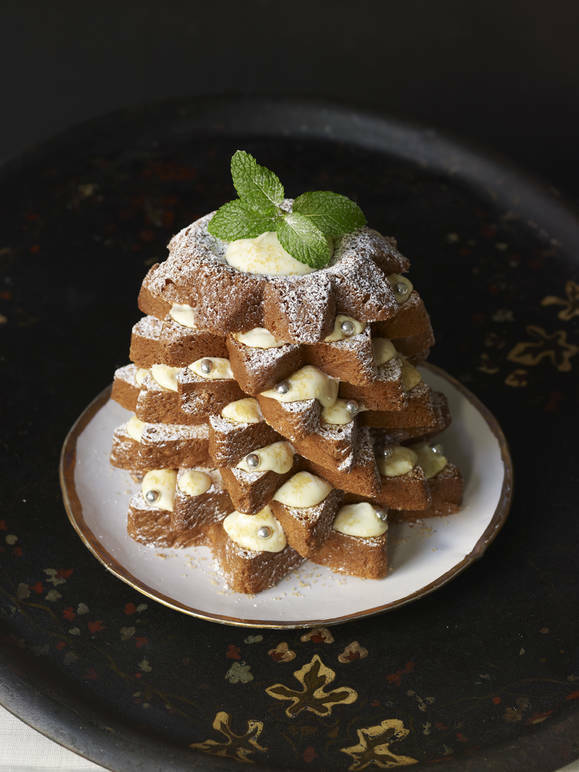 In Italy, pandoro is often served cut in horizontal slices that are restacked to look like a Christmas tree. It even comes boxed with a packet of confectioners sugar to sprinkle on top. Pandoro, in its present day version, first appeared in late 19th-century Verona. There are two different legends about its origin. The first dates pandoro's birth to the Renaissance and to the custom of Venetian bakers dusting gold leaf ontp cone-shaped cakes called pan de oro, “bread of gold” for their wealthy customers. The second legend attributes a humbler origin to pandoro, suggesting that it might have descended from a star-shaped homemade cake, nadalin, enjoyed by Verona’s farmers during Christmas. 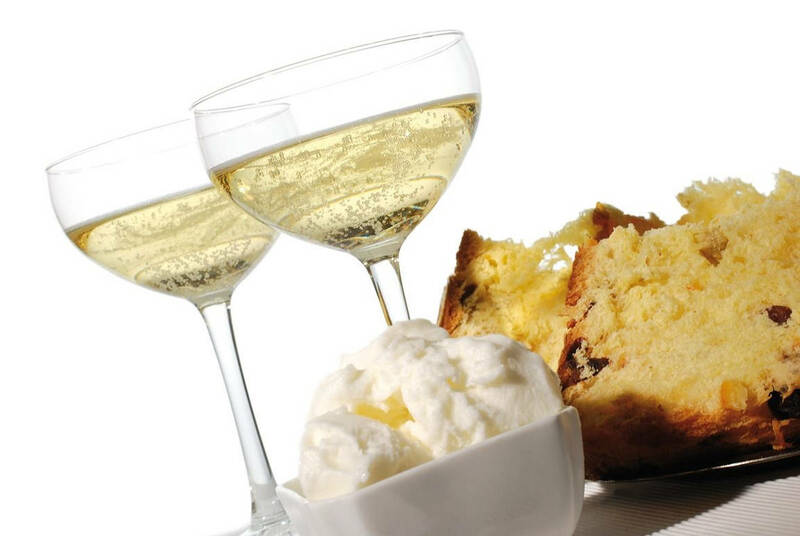 You can spread the pandoro with anything creamy like ice cream, whipped cream, icing, pastry cream, or even zabaglione. And just like a gingerbread house, you can decorate it with anything festive including tiny candies, sprinkles or crushed candy canes. Or try this recipe, where each layer is spread with mascarpone custard, and decorated with mint leaves and candied cherries. In a saucepan combine 1/4 cup water with 1/4 cup of the sugar and bring to a boil. Remove from the heat and stir in 1/4 cup of the rum. Reserve. In a standing mixer combine the yolks and the remaining 1/2 cup of sugar and beat for 5 minutes until light yellow and fluffy. Beat in the remaining 2 tablespoons Cointreau or rum, and fold in the mascarpone. In a separate bowl, beat the heavy cream until peaks form. Fold the mascarpone cream into the whipped cream. Carefully, so as not to break the points, slice the pandoro horizontally into 6 slices. Brush the outsides of the slices, the golden colored baked section, with the reserved Cointreau syrup. Place the largest pandoro slice onto a serving platter and spread with some of the mascarpone mixture. Cover with the next largest slice, angling it so that the points of the star tips don’t line up. Spread with some of the mascarpone mixture and repeat with the remaining layers, finishing with a dollop of mascarpone on top. Decorate the points with candied cherries and mint leaves or candies. Sprinkle the entire cake with confectioners’ sugar.